Beautiful Townhome with Large Tandem Garage Below Unit* Immaculate townhome that offers 3 bedrooms, 2.5 baths, 1,620 square feet and 2 car tandem attached garage. *Kitchen has tile floors, tile backsplash, stainless appliances and granite counter tops. *Open concept floor plan with easy flow into the dining area and living room. * Great space for entertaining and family gatherings. * Open deck space that's perfect for a BBQ grill or just relaxing with a pond & nature view. *Master bedroom with carpet, private bath and tray ceiling. 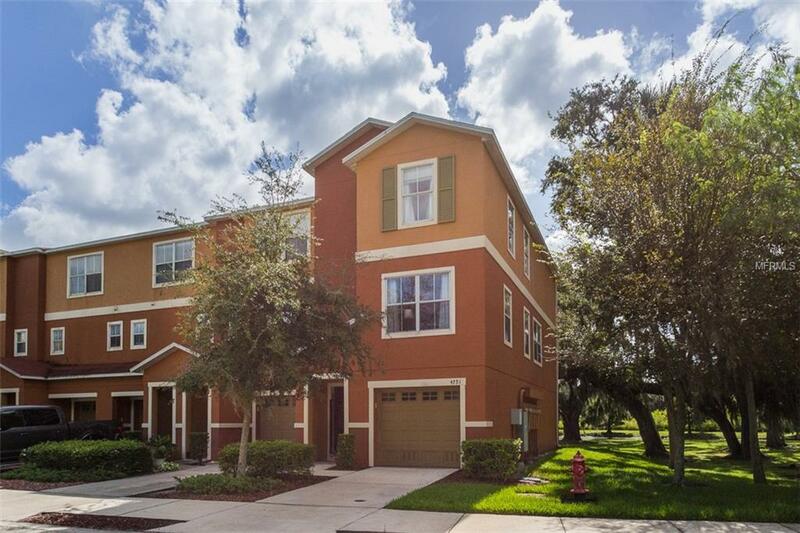 *Other great features of this amazing townhome are maintenance free exterior, community pool, * convenient to I-4, crosstown expressway and minutes away from Ybor City, schools, shopping and great restaurants. * Only 60 minutes from Florida's top vacation destination, Orlando, Disney. Pet Restrictions Per County & Hoa Restrictions.